2016 has been one of Biomeme’s most memorable years yet. As a tribute to the progress we’ve made, we wanted to reflect on just few highlights from this past year. As our technology has evolved and improved, so has our team. We’ve welcomed new faces to all departments, growing to a team of 20 employees. We said goodbye to our Old City location and made the move to our new headquarters in downtown Philadelphia. Our new space includes a biosafety level 2 (BSL2) laboratory, engineering space, a clean room for product manufacture, and a CLIA high complexity lab. The upgrade is truly a commitment to the Philadelphia tech community. Researchers near and far are using our technology to answer major questions in PCR diagnostics. Smith-Root is testing aquaculture operations. The Wildlife Conservation Society is working toward saving endangered Siberian Tigers in Russia’s Far East. Researchers in Minnesota and Wisconsin are detecting Lyme disease infection. Middle schoolers are testing for mislabeled sushi. We were even featured in the Lancet! Want to collaborate with us? Apply to our Developer Program to learn more. From increased sample prep usability, to API customization for Biomeme’s web portal, to new upgrades to our mobile hardware device, we’ve made big changes this past year. 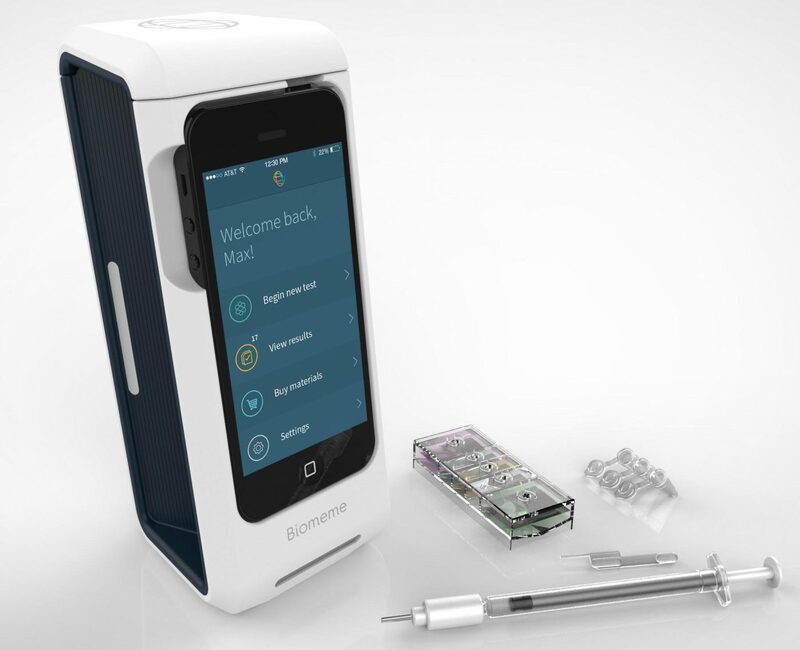 Users can test smarter and faster with our end-to-end mobile DNA testing technology. Looking ahead into 2017, the Biomeme Team looks forward to even more growth and success. Thank you to all our collaborators and supporters for joining us to make DNA testing easy, accessible, and affordable. We look forward to seeing where we go in the New Year!